Rock and Rapid Adventures is the biggest rock climbing centre in North Devon. Based in South Molton, our climbing wall offers everything from top rope climbing and lead climbing to bouldering and dry tooling. We are also a leading adventure centre in North Devon, providing a range of outdoor activities, including coasteering, kayaking, outdoor rock climbing, raft building and more. We are open from 10am-10pm on weekdays, and 10am-6pm on weekends. Our centre also has a cafe, group bunkhouse accommodation for parties and school residentials, an abseiling platform and outdoor low ropes. At Rock and Rapid, we pride ourselves on making rock climbing accessible to people of all ages and backgrounds. Our qualified climbing instructors facilitate development at all levels, whether you are a beginner wanting to learn to rock climb, or an experienced climber looking to focus on specific aspects of your technique. We offer rock climbing taster sessions for first-time climbers, climbing courses such as our Step Up to Lead course, and kids’ climbing clubs for ages 4 and upwards. Kids can develop their confidence and skills in everything from climbing and belaying to abseiling and bouldering with our NICAS-accredited youth climbing clubs. 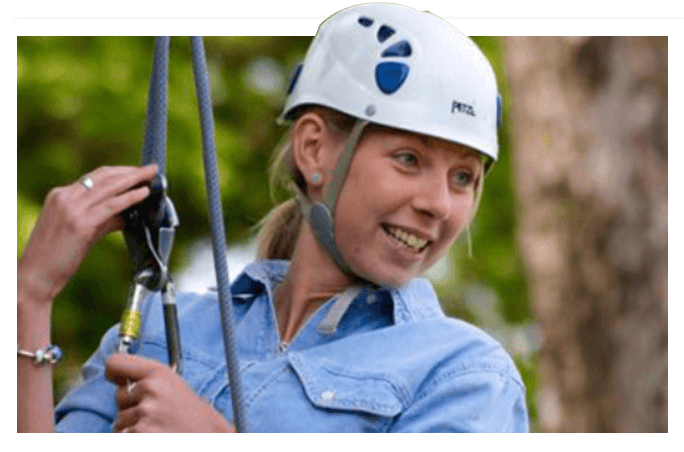 As one of the top attractions in North Devon, Rock and Rapid Adventures is a popular venue for all kinds of groups, special occasions and events. Throughout the year, we host a number of school residential trips, with groups from across the country visiting us to experience a range of fun and educational outdoor activities in the South West. We also run regular group climbing sessions for schools and local organisations, catering to all ages, demographics and additional needs. We are also a popular as a birthday party venue in North Devon, and we offer one or two-hour children’s parties, where kids can enjoy climbing, low ropes and more, plus a tasty birthday lunch. For the adults, we provide unforgettable stag weekends and hen dos, perfect for adventurous types, where you and your friends can enjoy coasteering, climbing and more, and even spend the weekend in our Alpine hut-style bunkhouse! Rock and Rapid is also available for various local events, from launches and corporate team building events to charity fundrasers and much more. It’s not just climbing that we offer at Rock and Rapid Adventures! We run a range of outdoor activities in Devon and the surrounding areas. Feel the adrenaline rush of scrambling across rocks and jumping into the sea on our coasteering trips, or enjoy a day of watersports, learning to kayak or canoe on a serene lake. We even offer exciting rafting expeditions and outdoor rock climbing adventures, everywhere from Valley of the Rocks to Dartmoor National Park. Whether you’re looking for a group activity for a party or special occasion, or simply want to try out a new hobby, our adventure activities are an unforgettable way to spend the day! Rock and Rapid Adventures was founded in 2007 by Keith Crockford. In June 2010, Rock and Rapid Adventures took over what was formerly The Mill Adventure Centre. Since then, the centre has grown to offer a wide selection of outdoor activities and climbing sessions, as well as hosting school residential trips and local events. In spring-summer 2019, we will also be unveiling our brand new bouldering cave, which will be the biggest and most exciting of its kind in North Devon! If you want to know more about Rock and Rapid Adventures, how to find us, or what we offer, feel free to contact us today on 01769 309 002.